I'm partial to whimsical hats, this one seems like a homage to Anna Sui's animal head hats of the late 90s or minorly reminiscent of Princess Mononoke. Stephanie also has a nice blue theme running through her outfit. 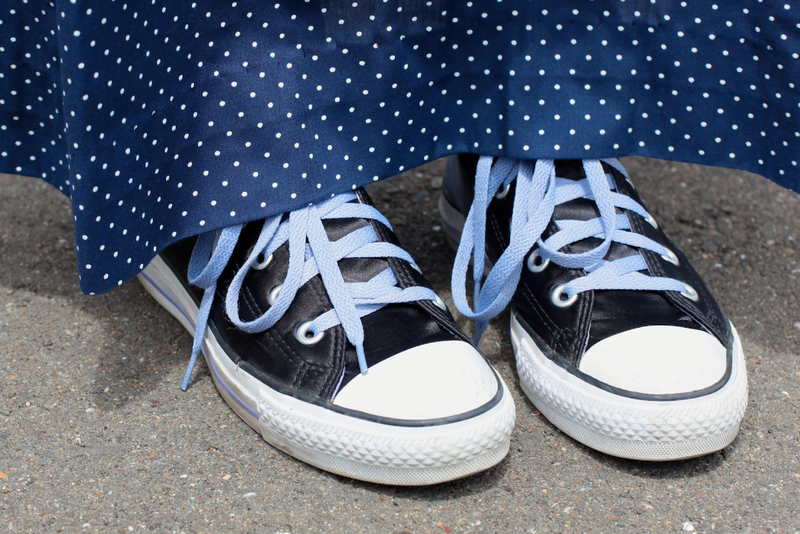 A look at her blue shoelaces festooned Converse. omg i just saw Princess Mononoke this weekend, and i totally agree her hat is reminiscent of the movie, whether she knows it or not. I just had so much fun looking through back posts on your blog. Glad I came across it! I post about street style in Seattle. 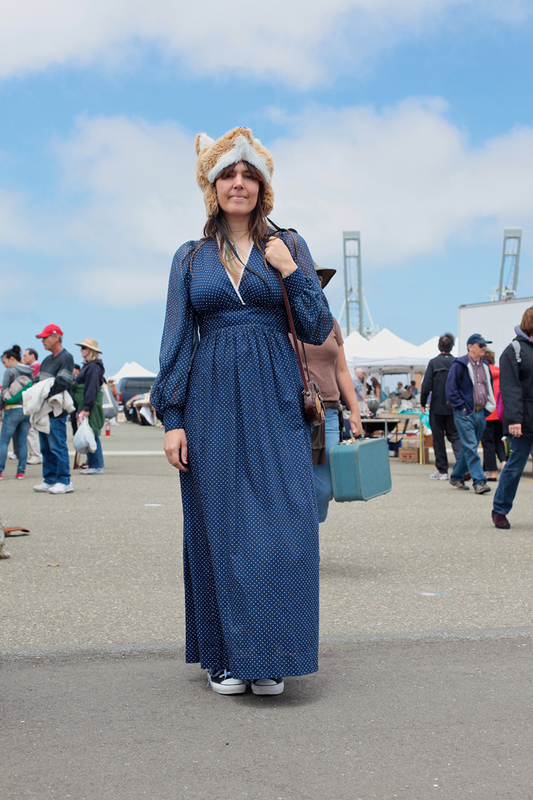 I love running into street style blogs from other cities. 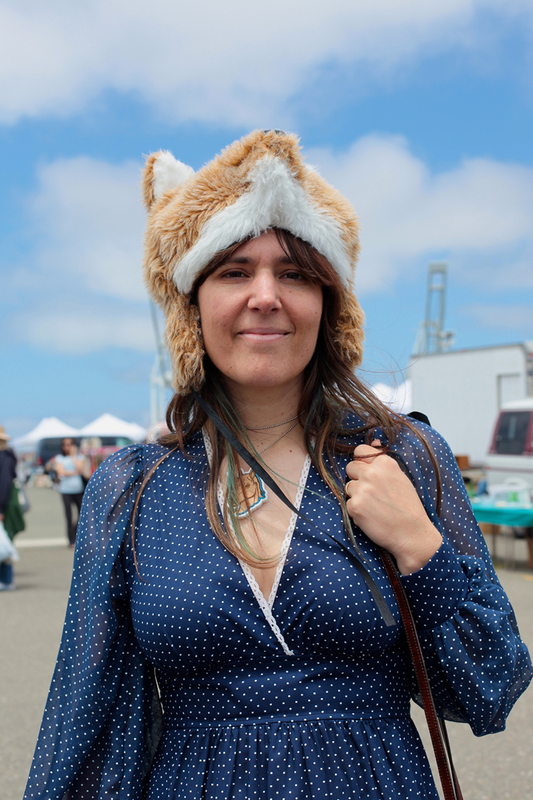 San Francisco style has so much personality and no fear of statement making accessories... I love it! Looking forward to following your site.